We had some friends over for tapas the other day and I wanted to welcome them with a nice table setting for the evening. This time I chose to decorate it using grey and purple with a dash of gold. I really like the effect that gold gives against the cold grey – don´t you? 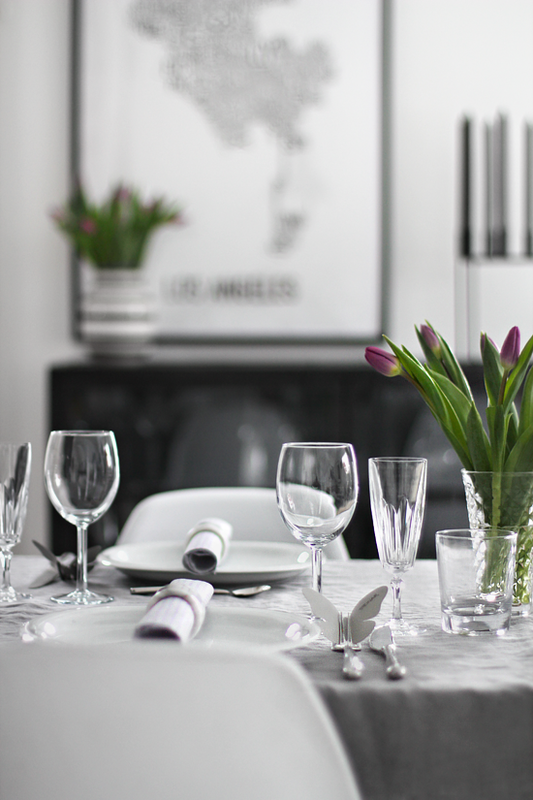 How do we decorate our dining table? Klem til deg beste interiørblogger! Så utrolig lekkert og koselig!! How funny! 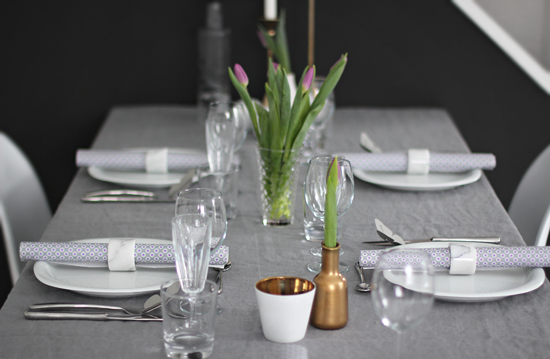 I’ve just commented on By Fryd about how I love the combination purple & grey – and now look here! Adorable, Nina! pretty table setting! I love the simplicity! I also love your los angeles print, where would I be able to purchase one? Wow! Inagree, the gold and the grey! Awesome!